The purpose of Gloryland Welfare Ministry is to oversee the hospitality and welfare of the Presiding Pastor and Guest ministers during and after ministrations. To plan and organize Pastors’ Appreciation Day for all Pastors in conjunction with the committee involved. To prepare the church santuary for sunday church service, and any other church events. To distribute food items periodically to the poor, the needy and the less privileged within the Church. To visit and encourage Church members who are sick, depressed, discouraged or bereaved. 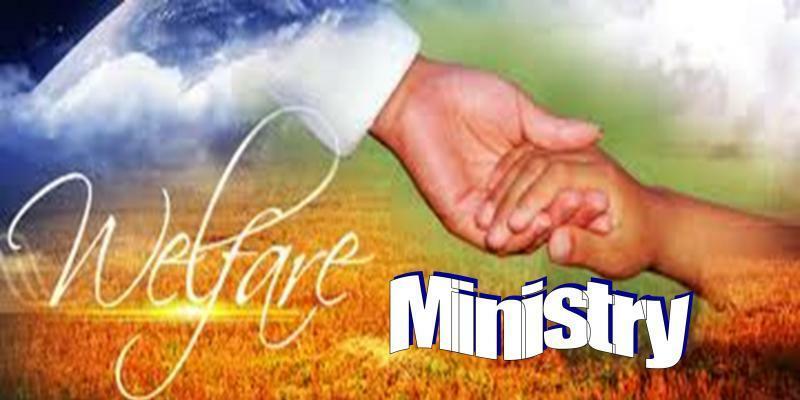 To liaise with other heads of ministry groups in caring for the needs of their committed members. To mobilize supports from the Church to minister to the needs of committed members of the Church. To pray always for the growth and unity of the Church and for the President/General Overseer of the Ministry and his leadership team. To work hand in hand with other team ministries for the purpose of achieving Church growth and kingdom expansion and to carry out any duties that may be assigned to the ministry group from time to time by the Ministry leadership. Work is our guiding principle in our Church's welfare program.